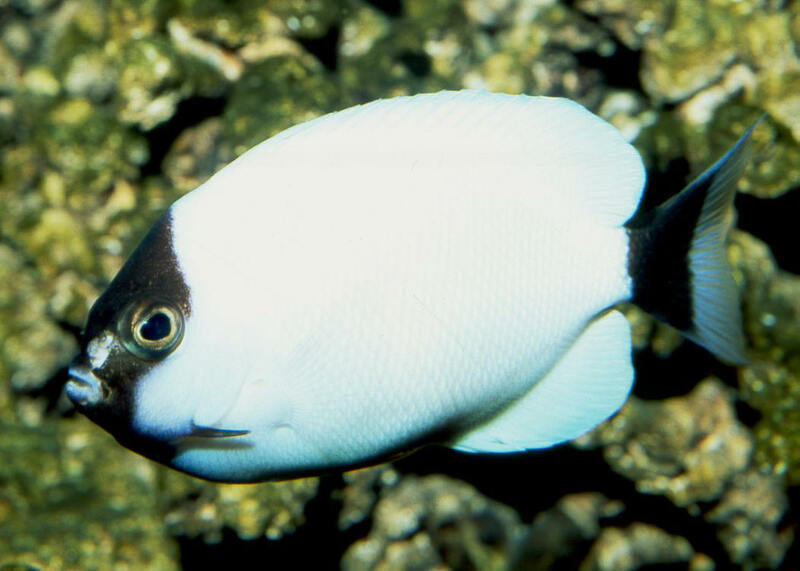 Genicanthus personatus Randall 1975, the Masked Angelfish (1). Northwestern Hawaiian Islands. Rare and cooler water animals, but can live in tropical systems. Shy, need plenty of rock cover. To eight inches total length. Male Waikiki Aquarium. Genicanthus personatus Randall 1975, the Masked Angelfish (1). Northwestern Hawaiian Islands. Rare and cooler water animals, but can live in tropical systems. Shy, need plenty of rock cover. To eight inches total length. Female Waikiki Aquarium. Genicanthus watanabei (Yasuda & Tominaga 1970), Watanabe's Angelfish (2). Amongst the hardiest of the genus (that makes it into pet-fish markets). Western and central Pacific. To six inches total length. 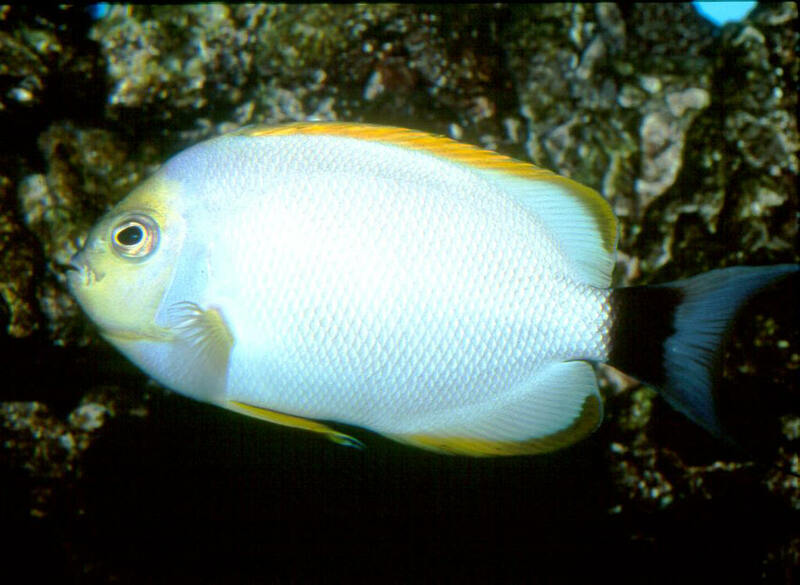 Male in aquarium shown. 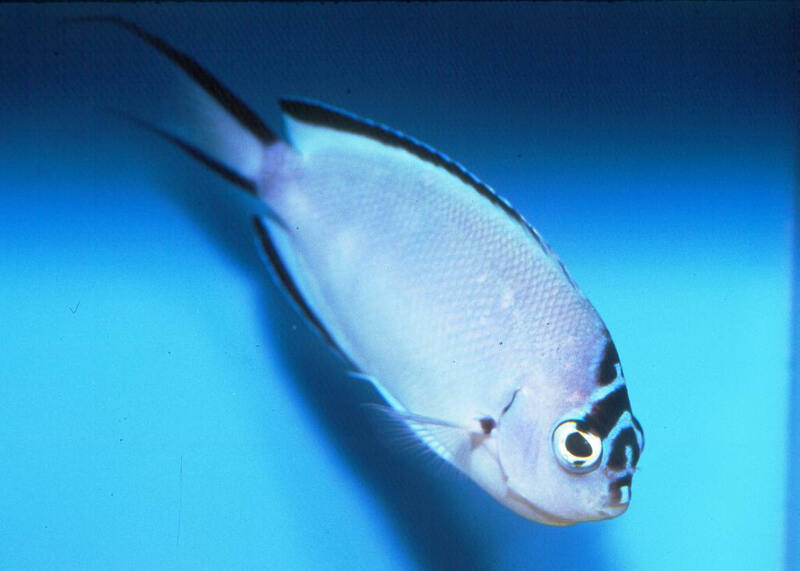 Genicanthus watanabei (Yasuda & Tominaga 1970), Watanabe's Angelfish (2). Amongst the hardiest of the genus (that makes it into pet-fish markets). Western and central Pacific. To six inches total length. Female in aquarium shown.